The TopView Configurator (desktop) runs on the TopView machine and provides access to all TopView configuration information. 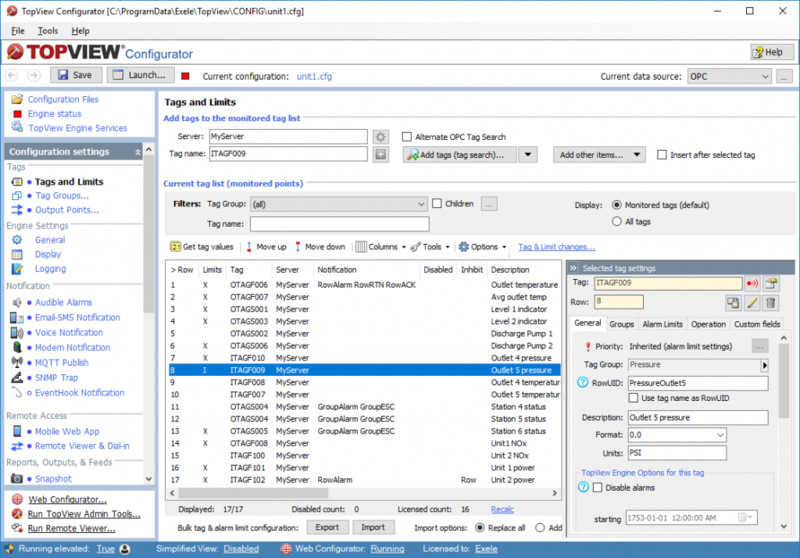 The primary use of the Configurator is to to create TopView Engine configuration files. Each configuration file defines the points/tags, operations (calculations), alarm conditions and notification settings for one instance of the TopView Alarm and Notification Engine. Multiple configurations can be created, and multiple instances of the TopView Engine can run on the TopView machine. The desktop Configurator also allows the user to configure global information related to notification: contacts, schedules, and notification groups.